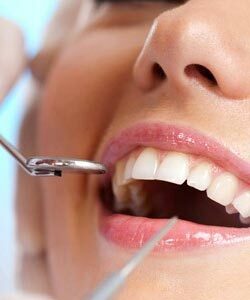 There are several steps involved in the process of placing a dental implant. The complexity of the individual case can affect the final cost of the procedure. When you keep in mind the experts and all of the steps that are involved in the process, it makes sense that it may be a bit pricey. When you see the final cost and timeline for your treatments, keep in mind all the work that goes on behind the scenes before and after your implants are placed. Exams/office visits- the staff members, dentists, prosthodontists, periodontists, who are involved ensure you will have a positive experience when you receive your implant. Tooth/root extraction- getting the jaw ready for the implant can be the most important part of the treatment because everything must be prepared for the next step of single tooth implant. Bone grafting- if the jawbone has been damaged, you may need a bone graft to prepare the jawbone and ensure the implant can be anchored securely. Placement of implant- it is the job of the periodontist to place and secure the implant – he/she is the one who will monitor you as you heal. Placement of the crown- a customized crown will be made, and it will fit over the implant post to give you a new tooth that looks and feels just like a natural tooth. Pre/post-operative care- pre and post-operative care is needed to ensure a successful implant and to address any issues that may arise in the weeks and months following treatment. We would love the opportunity to talk with you about your dental needs and show you how we can help you get the beautiful smile you deserve!